We are certified to ISO 9001:2008, which is a standard to cover our company systems and the way we deliver our services to and for our clients. This standard is the highest quality standard in the world and we have subscribed to this level of service to reassure our clients that we will care for them with a passion. As members of the Musicians Union, we are covered by a £10,000,000.00 Public Liability Insurance policy for your and our protection. Richard Palmer is a founder member of the English Toastmasters Association. Quality announcememnts and service with a smile. We are involved with and support several charities and belong to the Essex Wildlife Trust as a Corporate Silver Member. We no longer use this make and style of speakers. in place and ready to party. and do they look happy? Would you like to combine my disco services and toastmaster or master of ceremonies services for virtually every type of function? This will save you time and money if your are looking for a complete event solution. If you are looking for seriously excellent quality services to make sure that you have a truely spectacular event, we offer a one stop shop. These services are available individually, but you may wish to benefit from combining both the Toastmaster - Master of Ceremonies and Disco. Probably the best mobile wedding and party discos around. We offer wedding discos for all types of weddings and will listen to what you want to make sure that you get the party of your dreams. 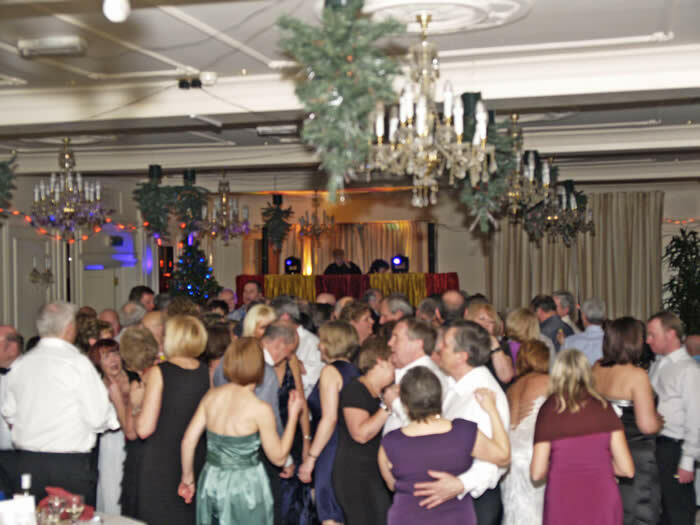 We also provide DJs and discos for many types of functions and events. Use us if quality in all aspects of service is of prime importance to ensure the success of your special event or function. 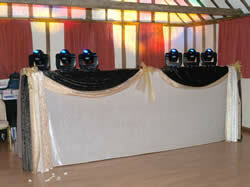 Why not use the leading quality mobile disco in Essex to make your party, the party of your dreams. To make sure that we play what you want, our music library is probably the biggest in the country and we would love to give you a party to remember. 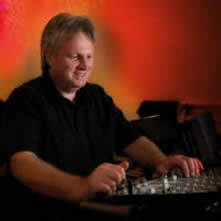 A very warm welcome to you if you are looking for a quality DJ to make your party the best ever. 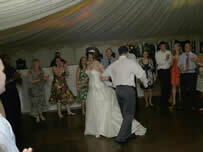 You have found the leading quality mobile Essex Disco and Wedding DJ. 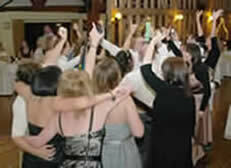 The complete mobile wedding disco service for your party, function or wedding day by the people who will care for you. We work to the international standard, ISO 9001:2008 which means that you know you may rely on us for a total quality package. All events at the County Hotel are extremely well organised, with excellent food, comfortable surroundings and staff that care for you. You are assured of a warm welcome and a stunning party. to give arguably the best quality sound performance available. The Bose range of sound systems include the L1's and may be used at conferences and many types of functions. Our top quality equipment is available for hire, fully installed, staffed if required and tailored to suit your requirements. or email dj@thedisco.co.uk or please use our contact form. Please leave a telephone number as we only answer clients that want to discuss their event. We do not respond to e-mails that do not have a telephone number. We are pleased to recommend three of our colleagues as we are so busy that sometimes we will not be able to help you. A lovely thank you E-mail from Lisa and Luke relating to their wedding at Hylands House on Friday 23rd March when I was their DJ and toastmaster. Hi Richard, I hope you are well. We have returned from our honeymoon, which was amazing. We managed to fit so much in! We'd just like to thank you for your excellent services as Toastmaster and DJ on our wedding day. You were extremely reassuring from the very beginning right up until the end of the day. Luke and I wouldn't have had a clue what was supposed to happen and at what time, but you made it run so smoothly. Neither of us felt stressed with you there. The guests have commented on how friendly and brilliant you were. Your relaxed and light-hearted approach to things definitely made us and the guests feel at ease. We were watching the wedding DVD over the weekend and our video guy had filmed you encouraging the guests to cheer before we arrived at the wedding breakfast. I think all of us at the head table felt very reassured when you spoke after each of our speeches, asking everyone to clap again. We loved how you got the guests cheering and laughing. That's a real talent! We really enjoyed the disco, as did everyone. There was music for everyone of all ages and you seemed to have gaged it perfectly. The dance floor was never empty. I was extremely excited when 'The Music Man' came on. Even in the lead up to the wedding, you were so helpful and it was lovely talking to you the night before the wedding. We really enjoyed getting to know you at the Indian meal too. Dear Richard, I would like to take this opportunity to thank you for all of the work that you put into our special day on the 29th August at the Reid Rooms. From the moment that we saw you right until the end of the day when you finished the set and started to pack your stuff away, nothing was too much trouble and how you could help us to put our minds at rest was fantastic. Your efforts at the start of the day with people who were struggling to tie the cravat and also the buttonholes was immensely helpful to me especially. The help that was offered for the greeting line meant that it took all of the pressure off of the best man and usher which also enabled Keri and myself to relax and enjoy the greeting line. What was a really nice touch was the way that you introduced everyone for us formally as they walked in to shake our hands, that was very unexpected and a really nice touch. Having the PA in the room really did help all of the not so confident speakers, enabling them to project their voices without even thinking about it. Finally a huge thank you for the disco. We have seen clips of the first dance and other parts of the disco and agree that everyone had a great time. Comments coming back from all of our guests is that if someone requested a song it was played the very next song to their surprise and happiness. Also I have to say that I noticed that when the dance floor emptied, the style of music changed very quickly which filled the dance floor again in no time. Hello Richard, Just wanted to say a huge thank you for making our reception such a success. We really did have a great time and we've had lots of positive comments from our guests too. Everyone said it's the best night they'd had in ages. Thanks for being so helpful and a big part of making it such a success. The quality of our sound and lighting systems is such that we are now getting bookings from more discerning clients who demand high quality, well presented equipment, for top class musicians performing at high level social events where attention to detail is of prime importance. sound, lighting and toastmaster services, which reads as follows. The picture above and on the left shows the High Sheriff of Essex, Mr Michael Hindmarch, with Mrs. Hindmarch and our colleague Andrew Morgan from the English Toastmasters Association, ready to start the receiving line to great the guests. The next two pictures may give you an indication of the quality and stunning appearance of our disco equipment set up at a wedding, with colour matched, crushed velvet frontage and most of the lighting equipment not visible but very effective. A lovely thank you e-mail from Patrick and Jane, the parents of Caroline who married Babor at South Farm Royston,near Cambridge on 30th May I was both toastmaster during the day and then DJ during the evening at this wedding. Dear Richard, Thank you so very much for doing such a superb job in managing our daughter's wedding on May 30th. We really appreciated your frienliness and efficiency and the way that you were able to take control with such a light touch. It was great for us to be able to relax and enjoy the day knowing that everything was taken care of. We were impressed by the way you metemorphosed into such a splendid disco! It was tremendous fun and my husband particularly asked me to pass on his thanks for playing the Rolling Stones track "Happy". The day was a huge success and we realise that much of it was due to the splendid team behind it all, so many thanks again for your part in making it such a special day. Please leave a telephone number as we only answer clients that want to discuss their event and do not respond to e-mails without a telephone number. 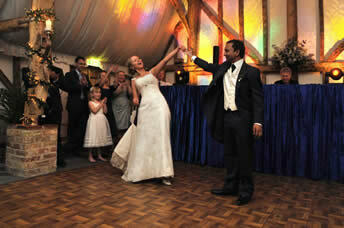 We are the leading mobile wedding disco service based in Essex. We will be pleased to provide music for your guests as they wait for your wedding ceremony or service. We will then play at your wedding ceremony or service, between your wedding and your wedding breakfast, at your wedding breakfast and right through to the end of your evening party. We do not take breaks during your day. We are at your event to do what ever we can to help you on your special day. Richard Palmer is also a toastmaster and will be pleased to provide you with a complete, high quality disco and toastmaster package if you would like him to. For a party that you and your guests will never forget! 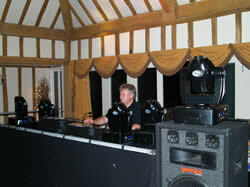 At last - you have found the Essex mobile disco for your wedding or party that will exceed your expectations! The disco lighting is out of sight during the day, which makes for a smarter look to the mobile disco equipment and blends in with your wedding. The lighting quickly pops up for your evening party and disco when you have finished your wedding breakfast. We use new style robotic lights which give you the best effects, coupled with a wash of colours as a backdrop. We are told by our clients and many photographers that they are absolutely stunning. We generally work in and around Essex, Suffolk, Cambridgeshire, Hertfordshire, Kent and London. 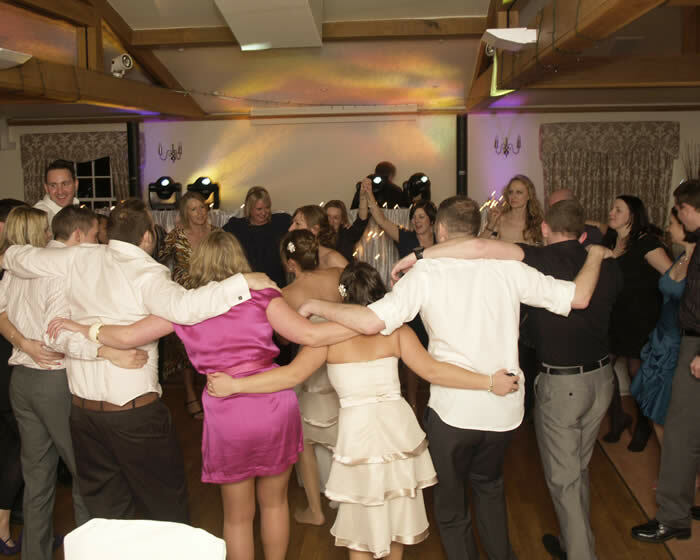 The picture above left was taken at Channels Golf Club near Chelmsford and shows the mobile disco equipment with no overhead lighting during the wedding breakfast. The robotic lights pop up for the evening party. The picture above right was taken in the Rosewood Suite at Stock Brook Manor Golf and Country Club, Billericay and shows a subtle blend of white, cream and light gold to match the wedding colours. 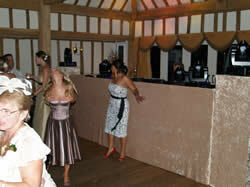 We have continued to modernise the presentation of our mobile disco equipment to help blend in to your wedding day. We would love to help you on your wedding or special day and for us to give you the best service, please be aware that we respond fastest when you provide us with your phone number and the date of your event. We are unlike most other disco and mobile disco companies as we are very client focused and will help you through your whole day. 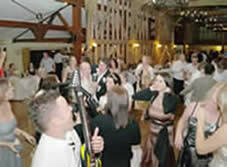 We will arrive early and play your music for your Civil Ceremony or Wedding Service. We will provide music (that you have chosen) between your Wedding and your Wedding Breakfast, wherever you would like that music played. We will play for you during your Wedding Breakfast and provide radio microphones for your speeches if you would like them. We are also pleased to play for you between your Wedding Breakfast and your Evening Party, continuing throughout the evening. We prefer to talk to you personally to establish your requirements. This is so that we may establish the details of the services that you may wish to use and give you proper and accurate answers to all of your questions. 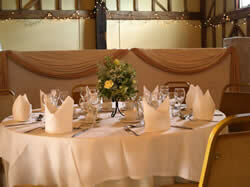 A date and venue only are not enough details for us to look after you properly or to allow us to quote accurately. Please help us to help you by letting us have your phone number for all enquiries. A huge thank you to all of our Brides and Grooms that were kind enough to vote for us in the Wedding Industry Awards for Excellence competition. We went through to the national finals and were the highest placed Disco company in the country and in the top three for entertainment. The finals were held at Claridge's. 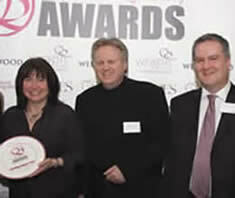 The awards were held to recognize excellence within the wedding industry. This picture shows our team, Linda Palmer, Richard Palmer and Toastmaster Andrew Morgan going through to the the national finals for the Entertainment category. A big thank you for the picture and all your help goes to Dave Court at Court on Camera www.courtoncamera.co.uk Dave is a great friend and really excellent photographer, who specialises in weddings. We have put all of your comments regarding the Awards at the very bottom of this page and we have not taken any comments out or changed the wording in any way what so ever. On this web site we will try to give you as much information as possible about the services that we are able to provide for you. We are the leading quality supplier of mobile discos for top end functions such as wedding days (which may include your civil ceremony, reception and evening party), and all other types of parties and corporate functions. About Your Wedding Day - We keep hearing the same question - "What sort of music do you play?" - We play what you want! Our music library now has over 230,080 titles, which means you can have exactly what music you want! We have all sorts of music in our library. THERE ARE NO RESTRICTIONS TO YOUR CHOICE OF MUSIC!!! We want you to have the best party. Please see the Wedding Music Form in the Documentation area http://www.thedisco.co.uk/documents.htm to help you plan the music for your day. You may choose to use our complete disco and music service covering your civil ceremony or church service, wedding breakfast, evening party and all the times in between for your wedding day to give you total peace of mind and cost effectiveness. You may choose the music that you want with virtually no restrictions. If we do not have your choice of music from our massive stock of over 235,080 titles on original licensed CDs, we will source it for you (as long as it is still available). You can be sure that we will be at your venue early and set up before your guests arrive, so that you and your guests are not disturbed during your day. You tell us what you want and we will deliver excellence. You get what you want! We build our music and disco equipment to match your theme and or your colour scheme - If you would like us to! 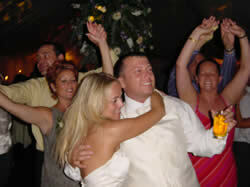 Are you looking for an experienced and well presented DJ to make your party rock? Are you looking for a company that you can trust to care for you? 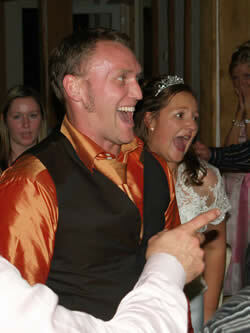 Are you looking for reliability and to have a stress free wedding, knowing that you will have a huge amount of fun? If you answered yes to any or all of these questions - you are on the right web site! Please give us a call on 01245 222392 or 07971 409977 to discuss your requirements and if we are busy we will soon call you back. Or please contact us using the Contact the Nomad form from our menu. Documentation to help you plan your event is available from the Documentation section of the menu. We meet brides who worry or stress about their plans. This worry or stress may be caused by talking to people who are ready to tell you what you must have, cannot have or what is not right for you! If this has happened to you and you need help with your plans for your life long dreams, please give us a call on 07971 409977. We will be happy to help you achieve your dreams by using our vast resources. We do not accept problems on your day, we have solutions ready to happen for many of your worries. It is sad for us to hear about brides finding the planning of their special day affected by people who only want to offer a standardised service and who will not listen to your dreams. We are here to make your dreams come true - it is our passion! We will try very hard to make you smile and be happy and that is our pleasure! We are showing a few of the hundreds of testimonials that we are proud to have received from our clients. By reading their comments, you may have a better idea of how we are able to help you with your function, where you want to be assured that you are going to get exactly what you want - and more. If you are looking for a DJ there are many around, but how they work may make a huge difference to your special occasion. Please read on if you want a disco company that will work for you with a passion coupled with the experience to give you the absolute best service and total peace of mind. I would like to thank each of you who have taken the trouble to write in with your comments. It helps us to understand what is important to you, and to concentrate our efforts in those directions. We will work very hard to make sure that you get the day of your dreams and understand that most brides are looking for professional service delivered with kindness and sincerity. We will spend time to make sure that we understand what you want and deliver to above and beyond your expectations, that means that we will deliver a party that rocks. Dear Richard, What can we say? You did an absolutely amazing job on our wedding day at Boreham House on the 5th November. 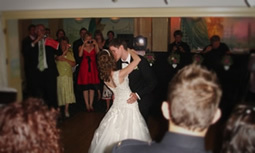 We are so pleased that we chose you to be our toastmaster and DJ. Everything went to plan, and we didn't need to worry about a single thing. Even our ushers complained that they had nothing to do, ha ha! The guests arrived by public transport - on time, which is more than could be said for Rob who made a last minute dash. 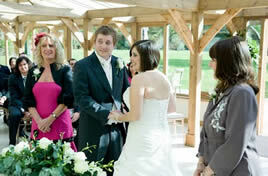 The ceremony was witnessed by both Katie and Rob's Mums. Following the ceremony the newly married couple went for a walk in the grounds of Gaynes Park before greeting their waiting guests. Following the Wedding Breakfast the speeches were held with Rob looking nervously on. The cake cutting ceremony proved to be a huge success with both Katie and Rob giving it their seal of approval. The first dance was performed with perfection Rob (Travolta) and Katie (Thurman) performed the classic made famous in the 1994 Quenton Tarantino film - Pulp Fiction.The "Dream Team" ensuring that Rob and Katie's day passed without a hitch were Mikaela from Gaynes Park (a big personal thank you for looking after us all), Andrew Morgan as Toastmaster, John Rose videographer and my good friend Richard Palmer providing the music with the Classic Nomad Disco. Oh! 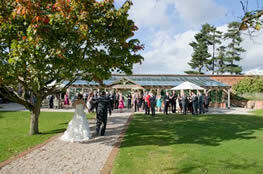 I nearly forgot - wedding photography undertaken by Essex Wedding Photographers CourtOnCamera. Dear Richard, We just wanted to say the biggest thank you to you for helping to make our wedding day and evening reception a resounding success! You worked really hard to create a truly brilliant atmosphere as we arrived, during the wedding breakfast and the evening disco. Dear Richard, Just a quick line to thank you for providing a fantastic disco at our wedding in Easthorpe. We had a fabulous day and night. 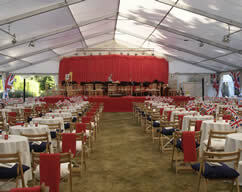 Your equipment blended in very well with the marquee, which was greatly appreciated. Many thanks for your help and we would not hesitate to recommend Classic Nomad. With kind regards Chan and Nick. What a fantastic night. There was a really electric atmosphere there, with everyone hoping to have a great night. The members and their guests seemed to know that they were in for a party to surpass all parties. Having worked there earlier in December, you sort of "get a feel" for what you think they may like. Well they were "up for it" and enjoyed a wonderful night. It was great to hear such complimentary comments such as, "You are the best DJ we have ever had here" and loads of sincere thank you's. The ultimate wedding specialists, at your service, owned and operated by Richard and Linda Palmer. With our team, we are here to make your event one that you and your guests will remember and talk about for years to come. With no middlemen or agents we provide quality professional services at very competitive rates. Your occasion is tailored to suit you and your guests and we are able to offer you a full planning and co-ordination service, whether it is your wedding, corporate function, anniversary or party. 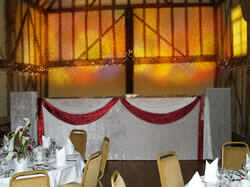 Our full light show, surround sound and quality service will make your event really special. If you prefer the new look disco to match your wedding, or the traditional look disco, we will be pleased to deliver exactly what you want. Your disco may be presented for you to your specification. Our lighting systems have the latest sound to light robotic lights, which you may wish to appear, only after dark. During the day, our equipment does not even look like a disco and blends in to your day. Our management systems are certified to the ISO9001:2000 standard, so that you are assured of a world class quality service. We are the only disco and toastmaster services company in the world to have achieved registration to this standard. For more details about this standard we have included this link www.iso.org. We are pleased to present the disco equipment in a style that will match your wedding. It is very difficult to explain how different we are from other disco companies. The pictures on this page will give you an indication of how our equipment can be made to look like it is a part of your function. We will match your colours and style and sometimes the disco may not even look like a disco, but we know how to party. There is a short video clip on YouTube of a business awards dinner that we played at in Chelmsford, County Hotel. Please click on the link below to look. A personalised, professional, interactive and energetic company with DJs and MCs, who will make you want to DANCE - with many years of experience at a variety of functions, we are the Classic Nomad Disco and Light Show Experience and we have your total service in mind. We are looking for couples who are getting married on Mondays to Thursdays. We have special packages to save you money if you are having your special day during the week. We are pleased to help you throughout your day. The following pictures will give you an indication of the amount of music that we carry. 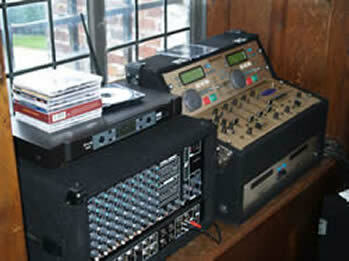 We move more music than any other mobile disco company. We aim to play all your music requests! Unless otherwise stated, all the photographs on this site are our own, and have not been altered or enhanced. We are trying to give you a true impression of how we present ourselves and our equipment. and probably the largest music library in private hands in the country! 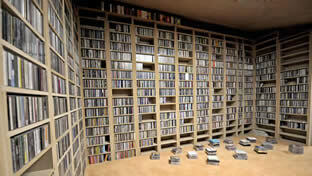 Early August 2006 our music library was built. This was a picture of the library (taken early 2008). We have plenty of music to fill the room but are busy with our brides and clients and so will keep filling the room and sorting our CDs into order as we get the time. We have found that having this facility has vastly improved the speed that it takes us to find unusual requests. With the introduction of iTunes the whole music industry has been revolutionised and we do not need to buy so many CDs now. However we are still growing our library but have the facility to connect to our clients' own appliances at functions to allow them to play the music that they may have with them. Our main music library is based at our headquarters where we try to keep all of the most popular music in stock, but in the unlikely event of us not having what you want, we will buy it. Our complete library has more than 230,106 titles, which we believe is the largest music library in the mobile disco business. We keep updating the catalogue as new music arrives. There is movement on a regular basis, as we continue to sort the music into appropriate sections. The shelves on the main wall are 8 feet high and it is so good to have all our music library in one room. This is only a part of our music stock. On our main rig, we were taking out over 28 boxes of music, this equates to over 48,000 titles (please see the picture below for an indication of how much music we have in our library). We are very lucky to have the support of David Court www.courtoncamera.co.uk who has updated the library picture, to give you a better indication of the size of our music collection. 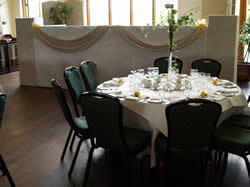 We have a comfortable area for meeting our brides and grooms (please see pictures below). You can go through your plans for your day, discussing your music and your instructions, so that your day will be how you want it to be. You are able to view past weddings that we have worked at, on a very large screen (84") with surround sound, to help you get ideas about your wedding day and what you would like us to do for you. We have re-equipped the room to make it more comfortable and offer further services. 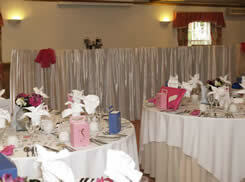 A range of equipment to help you with ideas for your wedding day is available for you to choose from. The following items are only a taster of what we are able to offer and if you have any special requests, we may be able to help you. Please see our new list from the menu, new for 2013. 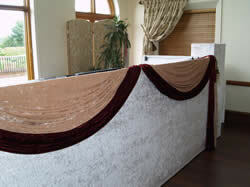 Just over 8 feet long and upholstered in white crushed velvet. Each of the panels is a little over 2 feet by 6 feet. The screen may be supplied in any colour of your choice (subject to range availability) and may be used as a 2, 3 or 4 panel screen. 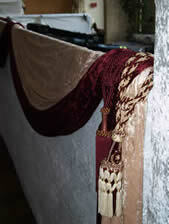 This is a quality built piece of equipment and the upholstery matches the coverings for your disco or your wedding. 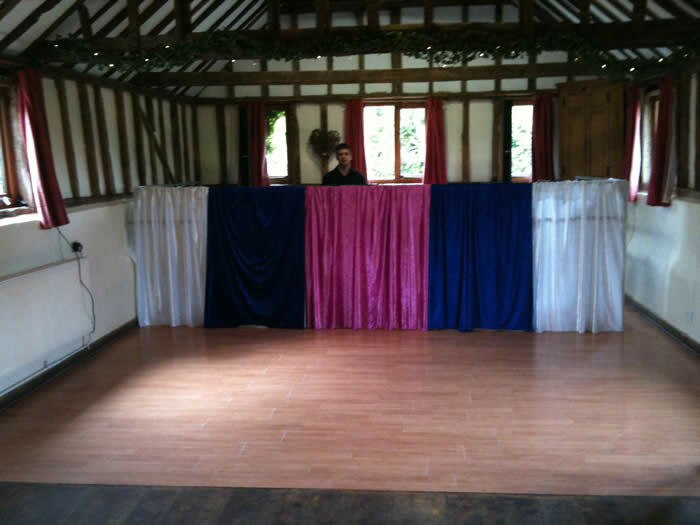 The picture above is one of our smaller high quality sound systems (being used at a wedding breakfast at Layer Marney Tower). 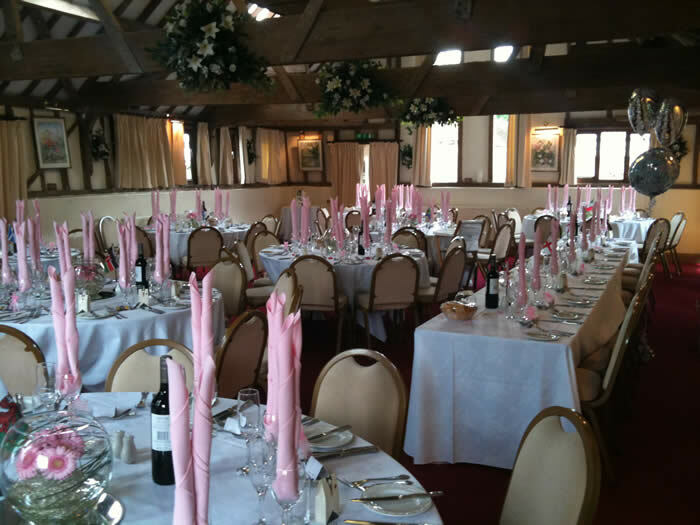 This system may be used for music during your wedding or wedding breakfast and may be supplied with two or more high quality UHF radio microphones for the speeches and a pair of speakers which may be pole mounted and used inside or out. 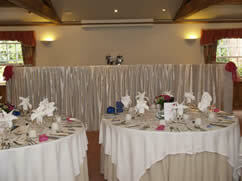 These systems are available for hire from around £100.00. Your voting comments are detailed below. I'm sure you'll find them interesting. * Would definitely hire this disco again, everyone was pleased and those who never dance got up and joined in!! Thank you for a fantastic job. * Classic Nomad are amazing. Without them my wedding reception would not have been the same. Even now people are commenting on how good the disco was, the extra special touches were excellent. I would be so pleased to see them win an award to prove how professional they really are. * Gave lots of advice with the wedding not only with the music. Dressed the stand to match colours of our wedding. * Richard went out of his way to make our day truly memorable, providing amongst other deeds, help for my disabled friend, as well as making the reception fantastically atmospheric with his professional know how Richard was integral to the success of our day. * No job was too hard for Richard, he even went the extra mile for us! * We received an excellent service from the moment we contacted Classic Nomad. they were keen to ensure all the details of our Wedding were covered and even had suggestions and contacts for the other elements we were in the process of organizing. On the night they got the party going and turned out one great song after another to keep everyone up dancing. 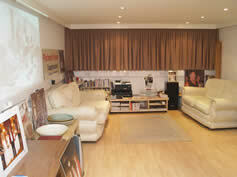 * A first class friendly professional service where nothing was too much trouble from planning to finale. * Despite our chaotic wedding preparation (including a last minute trip to Casualty!!) Classic Nomad truly made our wedding celebration a day to remember - Richard made sure to include all those little touches that were so important to us in ensuring that all of our guests felt they were fully part of the day. * Nomad were friendly, professional and everything we hoped for. They got the music and atmosphere just right. 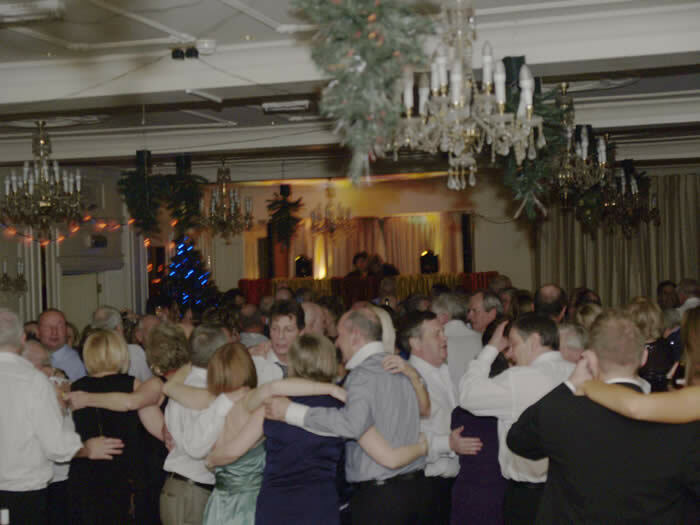 So many of our guests commented on how fantastic the music was and the dance floor was packed at all times. We've recommended them to all of our friends. * Nothing was too much trouble. The music was great and Richard in general was a great help on our big day. * Well and discreetly set up. very professional. Had a fantastic evening. * Great selection, worked as a team. * Great rig, excellent service, very professional. * Extremely well organised and very reassuring even when hired at short notice. Classic Nomad enhanced our special day. * Went above and beyond when coping with the venue losing power. Recommended. * We were absolutely delighted by the level of service Richard provided us on our special day! The music was exceptional - all different types that made EVERYONE happy and dancing! 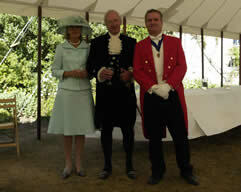 He was also out toastmaster so he managed to get a feel of what type of music people where into! The set up of equipment couldn't even be seen and the lights where FANTASTIC! We have recommended him to all our friends and family as he was outstanding! We have been too many weddings and I have to say Classic Nomad are the best entertainment by far! Certainly not a cheesy / cheap affair but a very professional classy set up! Me and my husband would really like to see Richard win this category as he puts in so much effort to make your day special and it would be wonderful if we could somehow thank him by him winning this award as saying 'thank you' just isn't enough! 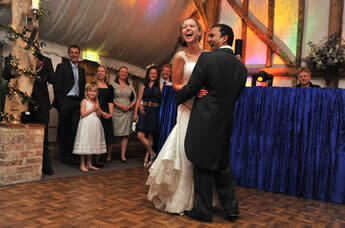 * Richard and his team not only provided a disco but made our day very special indeed. Providing an excellent level of service and customer focus. Richard also gave us a photo album with 150 photos of our wedding evening. They are friendly and helpful. I would recommend them to anyone. * Richard took us to dinner which meant he could get to know us and enabled him to really know what we wanted from our DJ going this extra mile meant that our guests were never off of the dance floor; so many people complimented the disco and evening reception. At the English Toastmasters Association members meeting on Tuesday 21st October, we discussed working for charities. This is an odd ball in the way that I have tackled it. 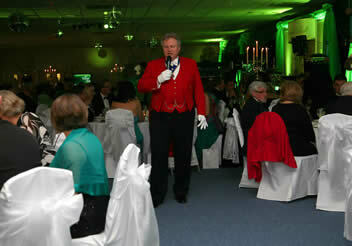 (and yes I am a toastmaster as well as a DJ) I had a call from the NSPCC who needed help and fast. They wanted a fire breather to do a stunt at the Colchester United Football Club at 10.00am today (24th October). Well here is the photo of me in action. I'm the guy breathing fire at the back. Now where does this lead to. They had an excellent Emerald Ball on Saturday 29th November at the Colchester United Football Club stadium and I was their toastmaster and what an excellent night out in aid of the NSPCC. Richard is a knight in shining armour! He stepped in at the last moment at what must have been a great inconvenience to himself - all in the aid of charity! His help towards Colchester NSPCC has been amazing and he has a heart of gold. His skills as a fire breather are just awe-inspiring and it creates something 'that little bit different' to any event - I can heartily recommend him and it will get and keep people talking about our event for much longer than they would do otherwise! Please go to www.colchesternspccbusinessgroup.org.uk to see if you can help their group or make donations. Just to prove that Katie is right about me in one of her comments, I have the picture of me in armour, although it was taken from my jousting days "a few years ago". For your function I would love to be your knight in shining armour, yes that is me above. for help with your function.